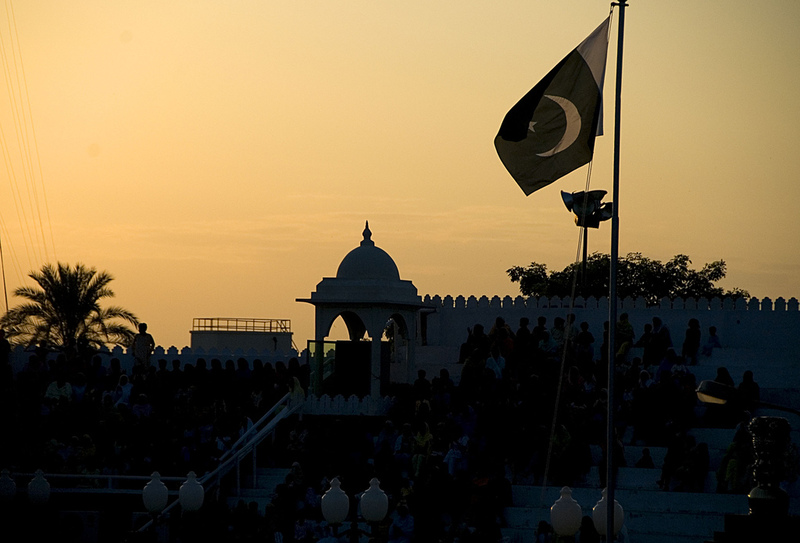 The outcome of the recent Pakistani elections fell along expected lines. Former cricketer Imran Khan and his party, Pakistan Tehreek-e-Insaf (PTI) emerged as the single largest party, and will form the government in coming days. His party gained 120 seats, just a fraction short of the required majority of 137. Reports say that he Khan will be able to form a government with the help of a few independent MPs. Pakistan has had an uncomfortable relationship with democracy, featuring long periods of direct or indirect military rule. But most observers consider the recent round of elections as unfair, even by Pakistan’s standards. There is something intriguing about Pakistani politics. Transitional democracy, limited democracy, or controlled democracy – one can pick their term for defining the prevalent political system. The rules of the game are fairly simple. The military establishment (General Headquarters or GHQ) based in Rawalpindi controls the national security and foreign policy and Pakistan is fundamentally a national security state. The trouble is that for a civilian government to deliver genuine results, the security concerns of the state need to take a backseat. This is a non-starter for GHQ. For decades, GHQ has used the national security threat from India and elsewhere to justify its overarching role. The same pattern has emerged time and again: inadvertently the civilian leaders fall into a tussle with the military establishment, and are eventually dethroned. Since the last military rule ended in 2008, GHQ realized that governing the state was too tedious a task. Political power also entails a lot of popular critique. The GHQ allowed civilian governments some autonomy to govern. At the time, the media was considered partially free. Often GHQ would not allow critical articles to be published, and newspapers would protest by printing blank spaces. The really searing critiques of the military’s policies are present only in between the lines of popular press writings. In terms of formal institutions of democracy, the Supreme Court was free to the degree that it could not be critical of the military establishment. The last few years saw the rise of Imran Khan. He entered politics 22 years ago, after a prolific career as a cricketer. Until 2014, he was a marginal player in Pakistani politics. In 2014, GHQ began to cultivate Khan as the next leader-elect. The rationale was simple — why clash with the civilian government, when you can put your own man in charge? The GHQ began by backing Khan’s street protests in 2014, which severely delegitimized the government of the day. For most part, these protests were centred on the ruling party’s corruption. And the prime target was the then Prime Minister himself, Nawaz Sharif. Over the next few years, similar protests were orchestrated by Khan and backed by the military. GHQ eventually used the institutions of justice used to clamp down on leaders of key political parties. In 2017, the Supreme Court disqualified the Prime Minister Sharif, on the farcical charge that he was not ‘Sadiq’ and ‘Ameen’ (honest and righteous), according to the Islamic law. GHQ realised that conducting an overt military coup and installing Khan would be a PR disaster. Thus in the period before the election, the state’s mostly private, somewhat independent media apparatus was overhauled to resemble one from a rigid authoritarian state. Media outfits like Dawn and Jung were coerced, and their newspaper distribution restricted. It was ensured that no political party other than Khan’s PTI got any meaningful media space. In terms of actual voting, there are reports about security guards throwing out observers of various political parties from electoral booths. To a lesser or greater degree, GHQ ensured that Khan’s PTI easily achieved the majority mark necessary to form government. Two caveats need to be mentioned here. Given that other political parties succeeded in winning a certain number of seats, it would be misleading to see this election as unfair as the one recently held in Egypt – where President Sisi won over 97% of the votes. Secondly, over the past three years, the security forces have turned a corner in terms of dismantling the anti-state terrorist outfits, and subsequently, dramatically reducing the civilian casualties caused by terrorism. From that point of view, one can understand the continuing popular image of the military as the only honest institution of the state. But the underpinning reality of this election cannot be camouflaged. Whatever little executive autonomy the civilian government enjoyed has been abolished. Contemporary Pakistan’s political system is best described as a hybrid state, falling between authoritarianism and democracy, where the military completely dominates the civilian government. One can argue that this might provide a more stable form of government at the national level. But Pakistan has shed even the slightest pretence of a functional democracy. Another worrying development is the introduction of jihadi-terrorist groups into popular politics. Jihadi-terrorist groups such as Ahle-Sunnat-Wal-Jamaat, Jamat-ud-Dawa, and the Tehrik-e-Labbaik Ya Rasulallah, contested the recent elections. From these groups functioning as state-controlled actors to popular political parties, is an unprecedented shift. It is important to recount an anecdote from 1990s. Back in late 1990, GHQ backed and put another such leader in power. Only a few years into his term, he clashed with the military establishment and was shown the door. He fought and came back into power in 1997. After facing a military coup in 1999, he was exiled out of Pakistan for the next seven years. Contesting a hard fought election, he again came back to power in 2013. He remained in power for four years, before he was again thrown out by GHQ via the Supreme Court. This leader was Nawaz Sharif. Now the military has propped up Imran Khan and it will be intriguing to see whether his future will be dramatically different from Sharif’s past. Moving forward, Khan faces a number of stiff challenges. To begin with, Pakistan is going through a severe balance of payments crisis and macroeconomic instability. The foreign reserves have been dwindling for three consecutive years. The government’s coffers don’t have enough reserves to pay for next two months of imports. Over the next few days, Khan’s government will have to decide whether they approach the IMF or Beijing for a bailout. Furthermore, the state features an exceptionally low tax base and a dramatically poor exports to GDP ratio, which leads to recurring balance of payments crises. On more structural issues, Pakistan has a massive deficit of basic public goods provision, and needs huge investments in human capital. In terms of foreign policy, it is safe to say that Pakistan has finally given up on its civilian façade. Now GHQ can control the state’s foreign policy without any significant civilian quibbling. Feature image by bm1632, via Flickr Creative Commons.